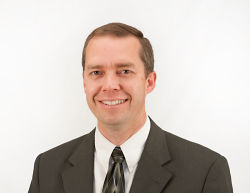 LOGAN, Utah – Larry Shirk has been appointed vice president of manufacturing by the board of directors at Campbell Scientific, Inc. In his new position, Shirk not only assumes manufacturing management responsibilities, but he also takes on broader responsibilities as a corporate officer. Shirk's previous positions at Campbell Scientific, as both the director of manufacturing and the quality manager, have equipped him with the knowledge and experience to meet the challenges of his new role. Campbell Scientific’s president, Paul Campbell, expressed the board's confidence in the appointment by saying, "Larry has been with the company for many years, and those who know Larry recognize that this is a natural step for both the company and Larry."